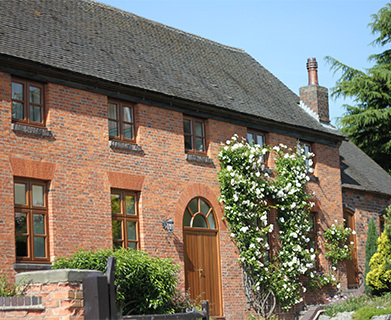 Based in Brownhills, West Midlands, our foundations in the timber joinery industry date back to the early 1970s, when Hardwood Timber Products focussed entirely on the manufacture and installation of hardwood windows. We honed our skills and expertise over the following 40 years and now produce the wide range of bespoke products for which we are known. We rebranded in 2014 to reflect this enhanced product range. Our investment strategy, including our automated window line, ensures that the product range offered continuously improves as traditional craftsmanship is combined with current woodworking technology. High Performance Windows is able to offer tailor made solutions to fit your joinery requirements, whilst delivering the level of accessible service that is all too difficult to find these days. We aim to provide you with the knowledge and comfort that our joinery is manufactured, finished and installed by one team responsible for the whole process. Whilst we have extensive experience working within the Midlands, we are now catering for customers in surrounding counties and further afield. For supply only contracts we do cover the UK. Our team of specialist bench joiners, wood machinists, finishing and installation operatives is led by an owner who has a long established and respected history in both the joinery and the construction industries, so you can be assured that High Performance Windows are reliable and experienced industry specialists. High Performance Windows appreciates that now, more than ever, delivering high quality products and value for money is of the utmost importance to our customers. The Company does not employ salesmen; we provide a personal service which is based upon the customer’s requirements. We are proud that the Company now has two generations of family members working within the family business providing a firm foundation for the future. Across the Midlands, High Performance Windows has established itself as a friendly and reliable manufacturer of high quality bespoke joinery products. Our experienced team manufacture a full range of timber windows, external and internal doors, conservatories, orangeries, roof lanterns in addition to a full range of associated timber products for the home and garden. If you are looking for something unique contact us and we will call upon our years of experience to assist you with your project. Great emphasis is placed upon quality craftsmanship here at High Performance Window, we can offer a full range of styles and finishes to suit personal preferences and property styles. To ensure that you’re absolutely happy prior to order placement, we offer appointments for you to come and view our manufacturing and finishing processes in person. In addition to viewing our manufacturing and finishing operations you are able to meet the people who will manufacture and install your items – ensuring that you can move forward with confidence. For those customers who are unable to attend our premises sample windows are available which can be brought to your home together with a portfolio of photographs and testimonials of satisfied customers. Why choose High Performance Windows? We have a wealth of knowledge and experience to advise you on the perfect timber products for your home or commercial premises. Our team strive to be efficient, knowledgeable and helpful. Free, no obligation quotations. We appreciate that projects can sometimes take a while to get off the ground and we will endeavour to hold prices for our customers for as long as possible. Offer a wide range of styles, finishes and glazing options to accommodate standard and unique profiles, a truly bespoke, tailored service. Buying from High Performance Windows is easy! To ensure you’re absolutely happy with your products and our levels of service, we have a simple six step process to guide you through the process. Get in touch by calling us on +44 (0) 1543 370 370, or heading over to our contact page where we can discuss your requirements or queries. Following an enquiry, we can arrange an appointment for a home or site visit at your convenience to discuss requirements – this can be a daytime, evening or weekend appointment. After the appointment, we will prepare you a quote which is normally sent via email or post. For manufactured products you may wish to consider arranging an appointment to visit the workshop so you can view the manufacturing process and the quality of our products first hand. Once you’re absolutely happy to proceed, we will discuss your order and prepare a contract. We will then ask you to place a deposit equal to 50% of the total value of the works, including VAT, and confirm payment terms for the balance. Deposits are fully protected. Upon clearance of the deposit payment, our surveyor will attend a mutually convenient appointment to undertake a manufacturing survey where we are also installing the items, and give you an indication of lead time for your products. After both the manufacturing and quality control inspection process are complete, we will contact you to arrange an installation date at your convenience, or a collection/delivery date for supply only items. When dealing with High Performance Windows, you can be assured that you’ll be receiving quality products and great service. Upon full payment of our manufactured products our Product Guarantee, subject to our standard Conditions of Sale, are applicable. As with any purchase, however, you will need to care and maintain the product in accordance with our Aftercare & Warranty leaflet. All of our manufactured products are offered with manufacturing warranties for a period of up to 10 years for manufacturing defects together with back to back manufacturer warranties for weather seals, double glazed units and hardware, for more information please request our Aftercare & Warranty leaflet. To give you peace of mind, these guarantees are backed by GGFI who provide protection in the event that a company ceases to trade before the expiration of the guarantee. High Performance Windows are a FENSA registered company to guarantee that we will supply you with products in line with current regulations, and are also proud members of the British Woodworking Federation (BWF), the industry association for joinery manufacturing in the UK ensuring a rigorous control is adhered to from timber sustainability to customer care.